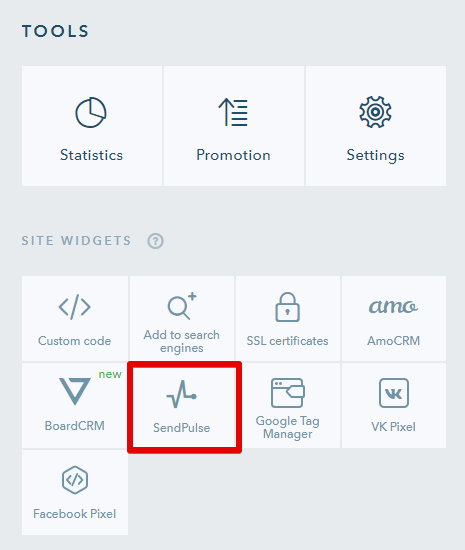 To connect SendPulse to your website, click on the SendPulse button on the Dashboard. In the input field, enter the main domain of your site in the mysite.com format and select the type of its protocol — HTTP or HTTPS. 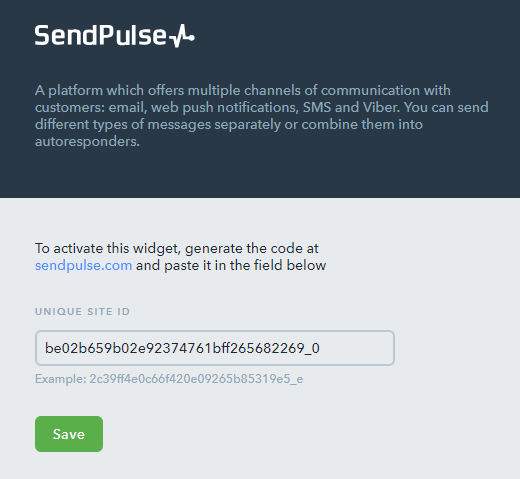 Or, you can enter the domain name like https://mysite.com/ and SendPulse will identify its protocol automatically. Configure the type of subscription request and its layout and proceed to the next step. 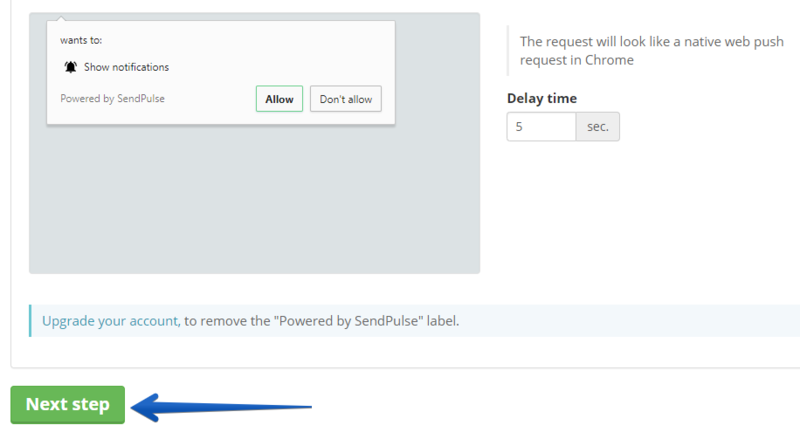 Go back to the uKit Dashboard, paste your website ID into the SendPulse connection field, and click on Save. 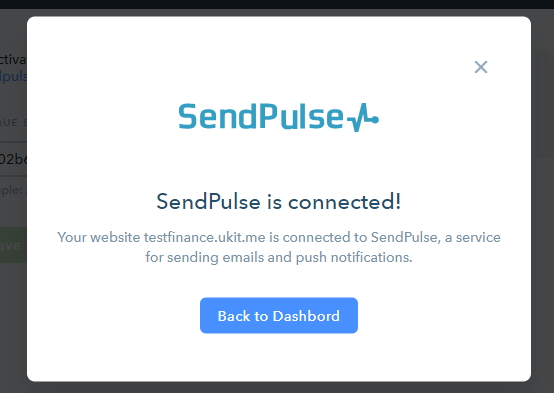 If everything is done correctly, you will see a pop-up saying that SendPulse has been successfully connected. Publish the website so that push notifications start working there. How Do I Set Up a Push Campaign? 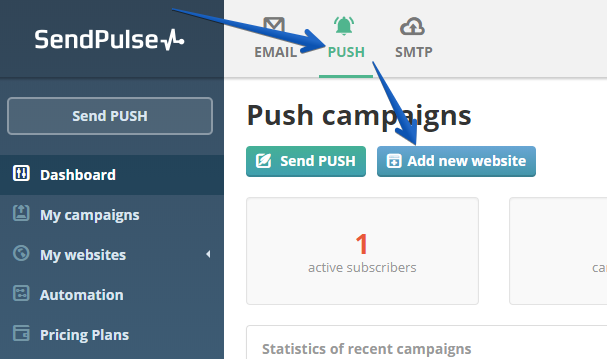 Go to your SendPulse account, select your website and click on Create a push campaign. Then, fill out the necessary fields, configure settings and click on Send. To set up a push campaign, you need to have at least one subscriber. Go to your website and subscribe to notifications yourself so that you can create campaigns. For more information about SendPulse, please see this FAQ. 11 people found this article helpful.